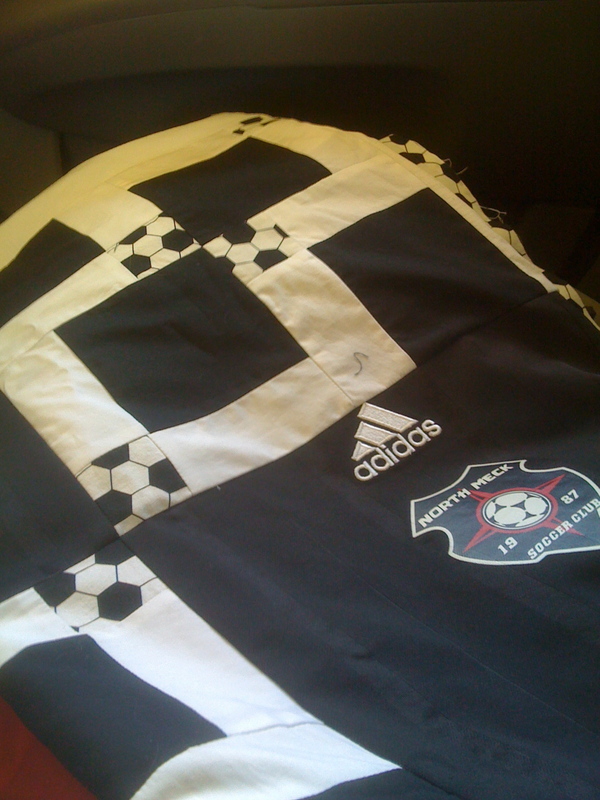 Follow Your Bliss: Remember the Soccer Quilt? Well it's almost done! Here is a quick picture before I sent it off to the quilter to get quilted. I wanted to do it myself, but there is no time at this point in my life. The quilter did an amazing job! I can't wait to show ya'll the final quilt when I get the binding on. I am working on it now. It has to be done by June 4th.